Sometimes it was the simplest pleasures that made the journey worthwhile: That cup of coffee that stirred your thoughts before the day unfolded, a morning stroll in the sunlight of a bright new land, the smile exchanged with a stranger in passing. Such tiny comforts wove the fabric of our day-to-day lives, and made us in part the people we were. 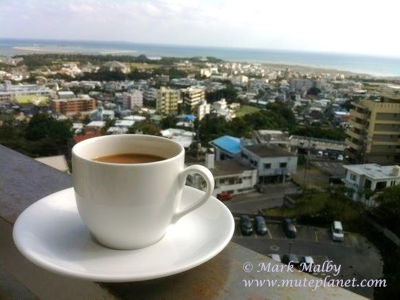 A rich, warm cup of UCC coffee overlooking a chill morning in Okinawa, Japan.